TBD - SpaceBelt 9 - LauncherOne - Runway 12/30 Spaceport America (Mojave), Boeing 747 "Cosmic Girl"
TBD - SpaceBelt 10 - LauncherOne - Runway 12/30 Spaceport America (Mojave), Boeing 747 "Cosmic Girl"
TBD - SpaceBelt 11 - LauncherOne - Runway 12/30 Spaceport America (Mojave), Boeing 747 "Cosmic Girl"
TBD - SpaceBelt 12 - LauncherOne - Runway 12/30 Spaceport America (Mojave), Boeing 747 "Cosmic Girl"
Utilizing a network of eight satellites in low earth orbit (LEO), SpaceBelt provides the strongest data security possible, whether at rest or in motion, by providing global isolation of an organization’s high-value, highly sensitive data assets from the data breach risk of terrestrial networks. The next SpaceX Falcon 9 rocket from Cape Canaveral will launch the first Crew Dragon capsule on an uncrewed demonstration mission, DM-1, to the ISS from pad 39A on late January TBD at the earliest. The launch time is in the mid-afternoon. The launch time gets 22-25 minutes earlier each day. The launch window is instantaneous. The next Delta 4 launch from Cape Canaveral, a Delta 4 medium on its next to last flight, will launch WGS-10 for the US Air Force on February TBD, at about 6:40pm EST. The launch window stretches to about 7:35pm EST. 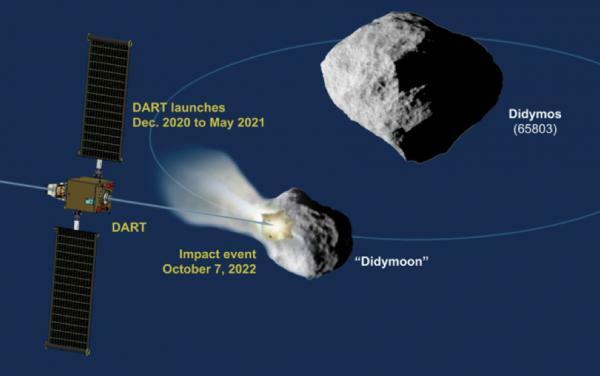 DART will be co-manifested on either commercial or military launch to geosynchronous orbit between December 2020 and May 2021 and released. 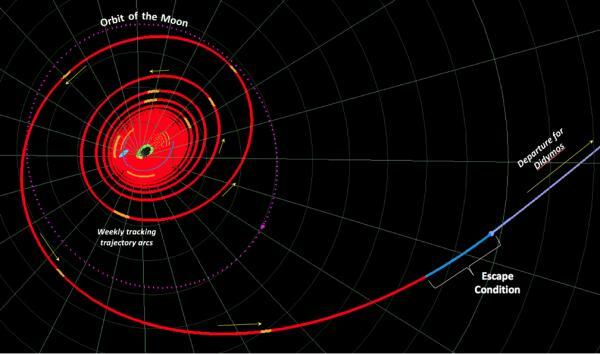 Using the NEXT-C ion thrust engine, DART will spiral out beyond the orbits of the geosynchronous satellites and the Moon to reach an escape point to depart the Earth-Moon system en route to Didymos. Quick question: why does the thread title list the launch data as January 6th? Wasn't it indefinitely delayed a while ago? The thread says "NET" Jan. 6, which technically is still true, although not for much longer. I guess I can just change it to NET January. The launch date has been on hold, so to speak, since 19 December. Some of these changing NET dates are just placeholders until this test today could be scheduled. Because of the holidays, etc. it was difficult to nail down a test date. And with the SpX hot fire and launch, the NET ILC is now the 11th. If all goes well today, I expect that date to be good. We shall see. Some clarification from the Iridium Next Flight 8 launch update thread, but new launch date is still TBA. "I am reaching out to let you know SpaceX successfully completed the static fire test early this morning for the eighth and final Iridium NEXT launch. This means that the launch is no longer scheduled for January 8th. We are working with SpaceX and Vandenberg Air Force Base to determine the next best launch opportunity and will provide another update as soon as any new information is made available. "